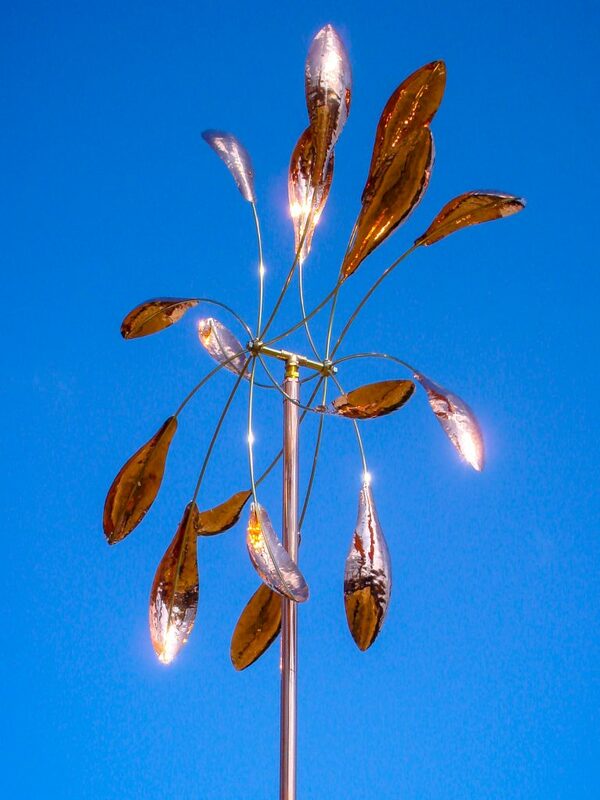 A quiet, relaxing way to enjoy your outdoors. 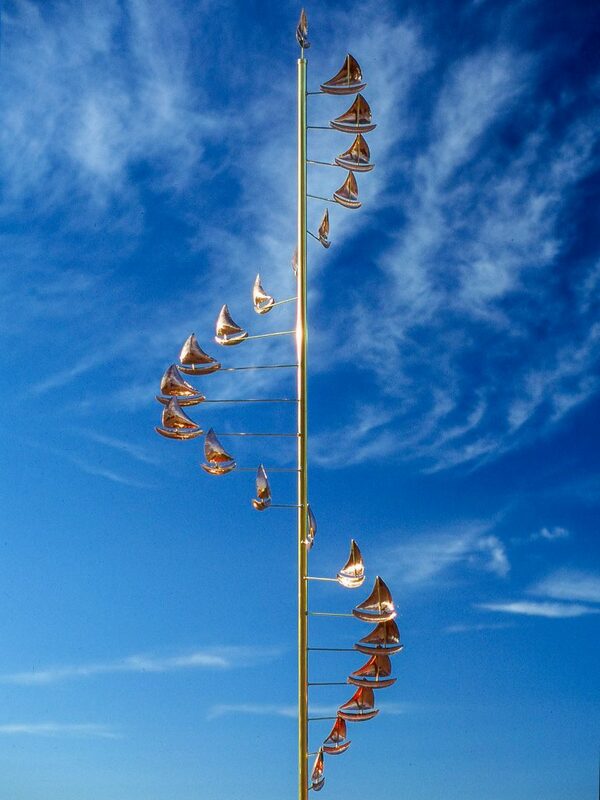 All wind sculptures are hand crafted by Jere Brunette. 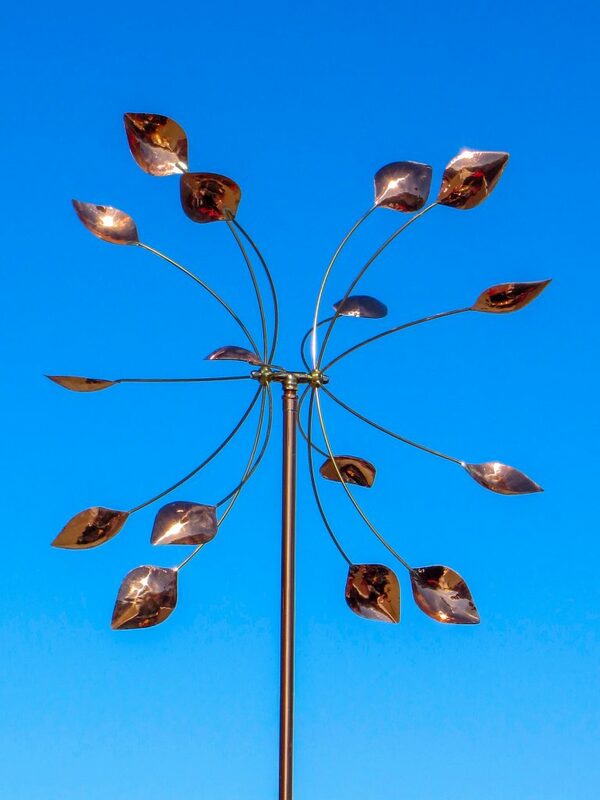 He takes great pride in providing his customers with the highest quality kinetic wind sculptures and uses only the finest quality materials to produce his wind sculptures. 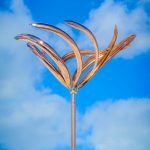 The spoons or blades for each kinetic wind sculpture are cut to size and hand formed using custom carved hardwood molds and special hammers. 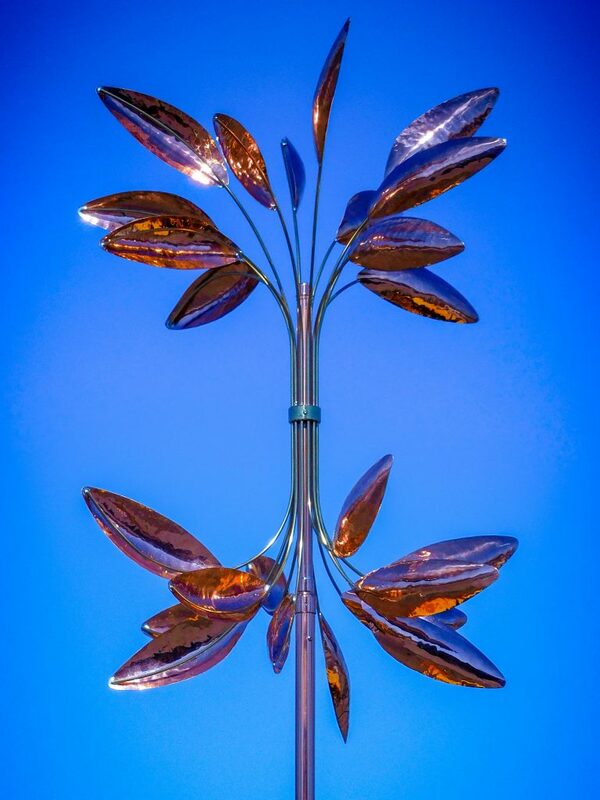 Each spoon or blade is then edge sanded and buffed prior to assembly. 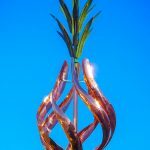 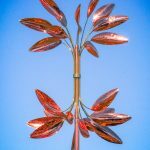 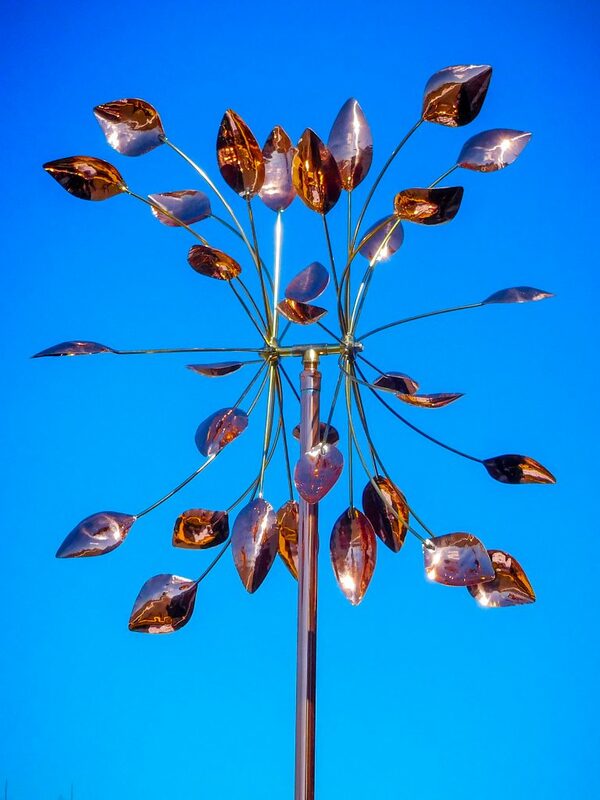 Once assembled the wind sculpture spoons are ultrasonically cleaned, double rinsed and finished with a high quality clear coat or natural patina finish. 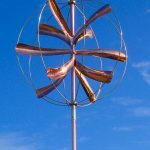 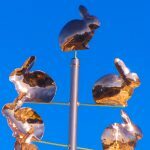 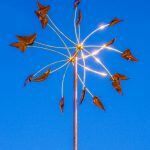 Jere incorporates high tolerance machined brass parts and sealed stainless steel ball bearings into the assembly of his kinetic wind sculptures. 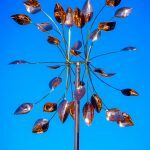 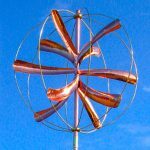 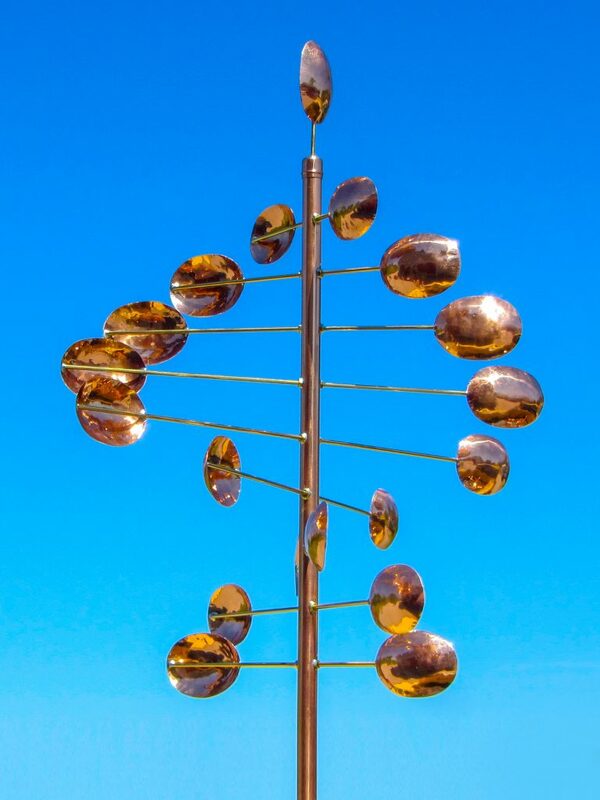 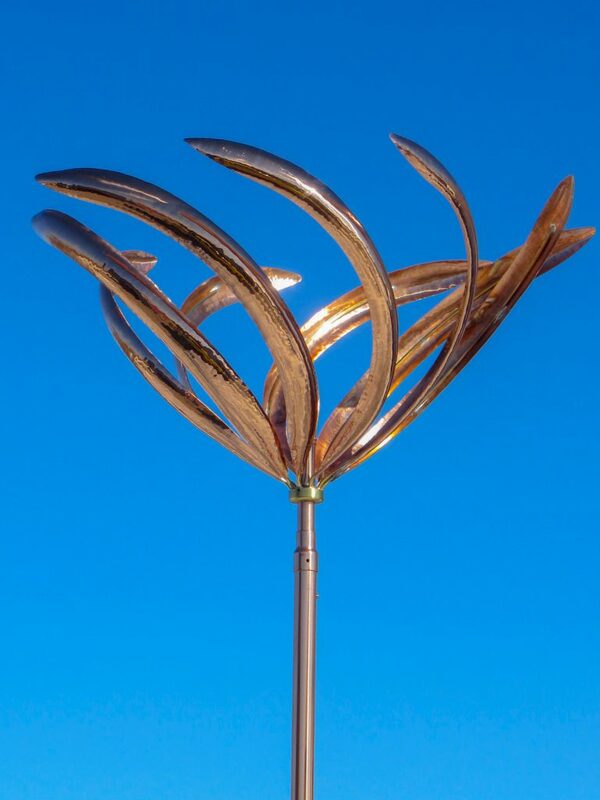 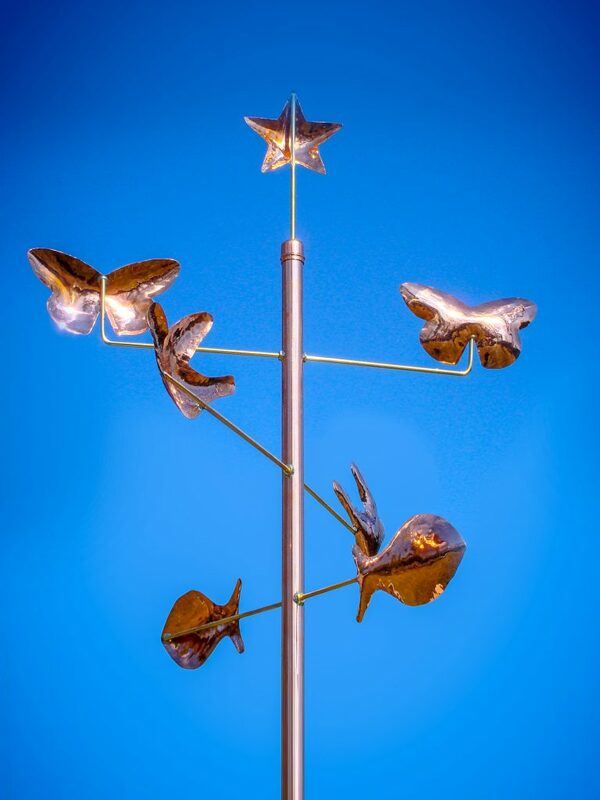 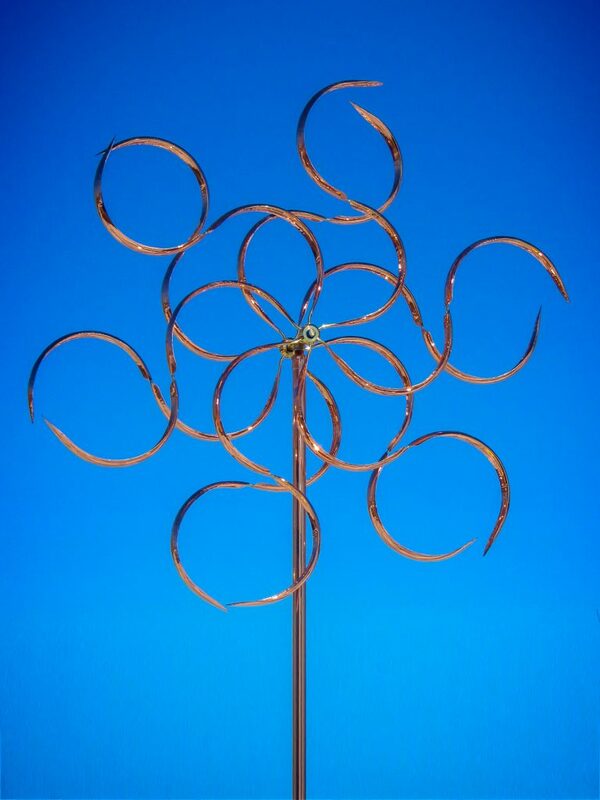 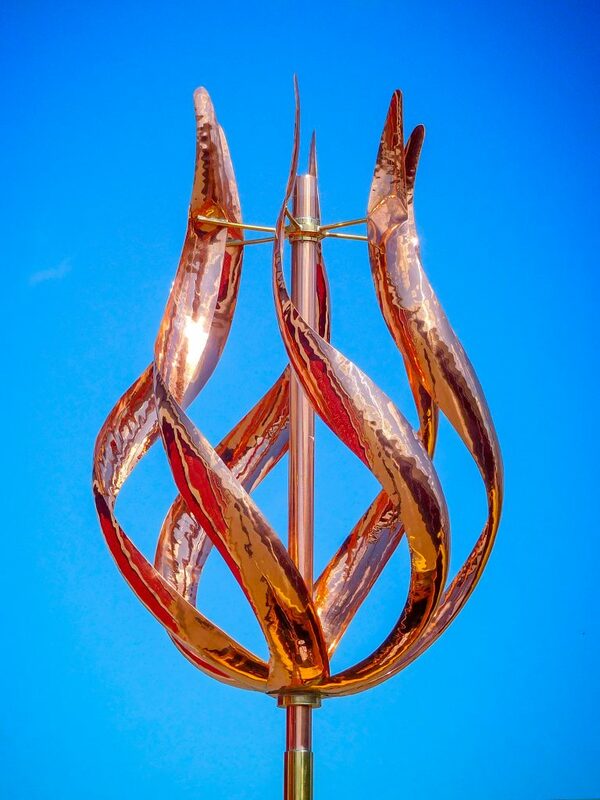 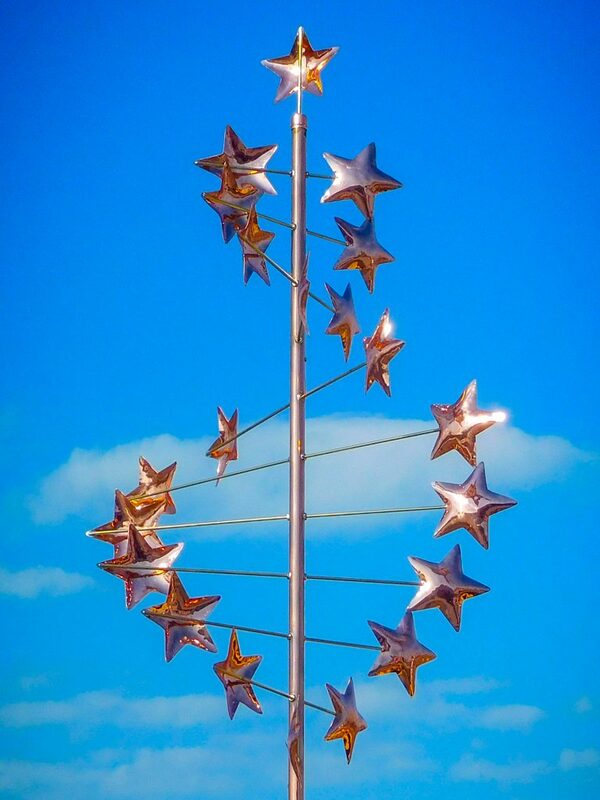 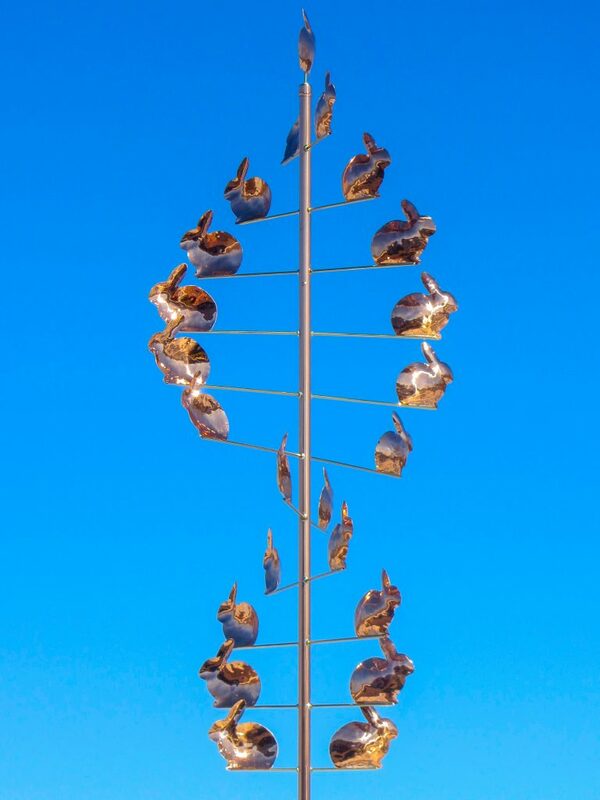 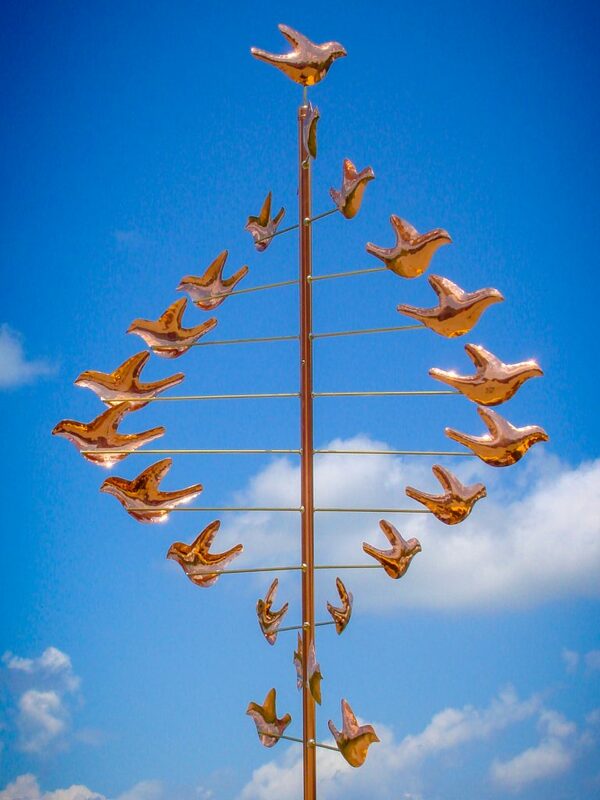 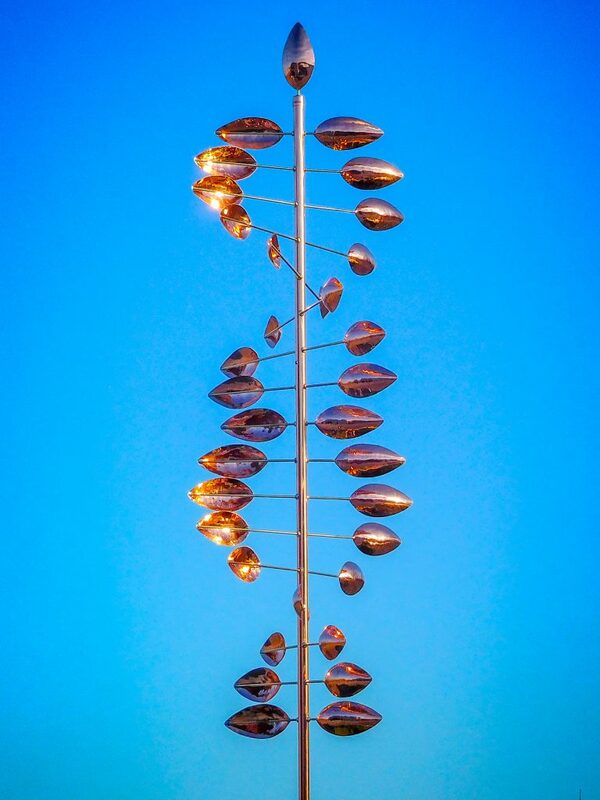 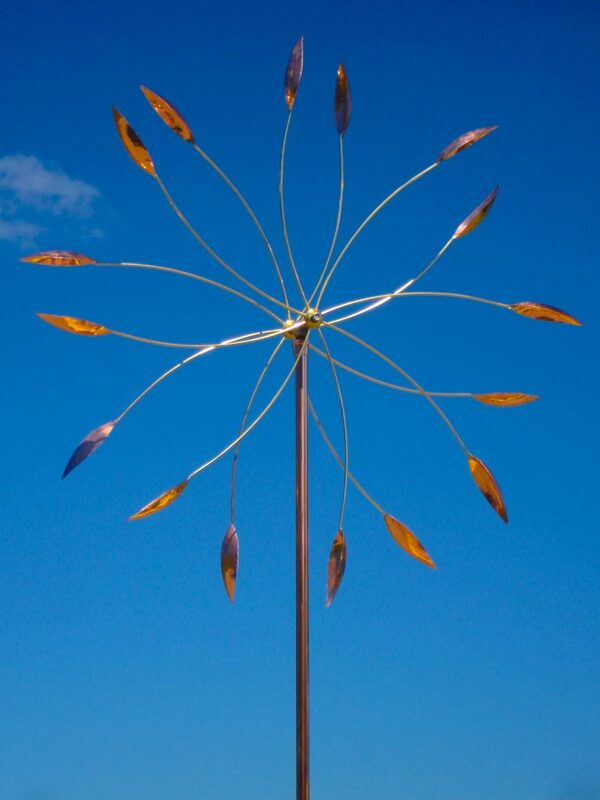 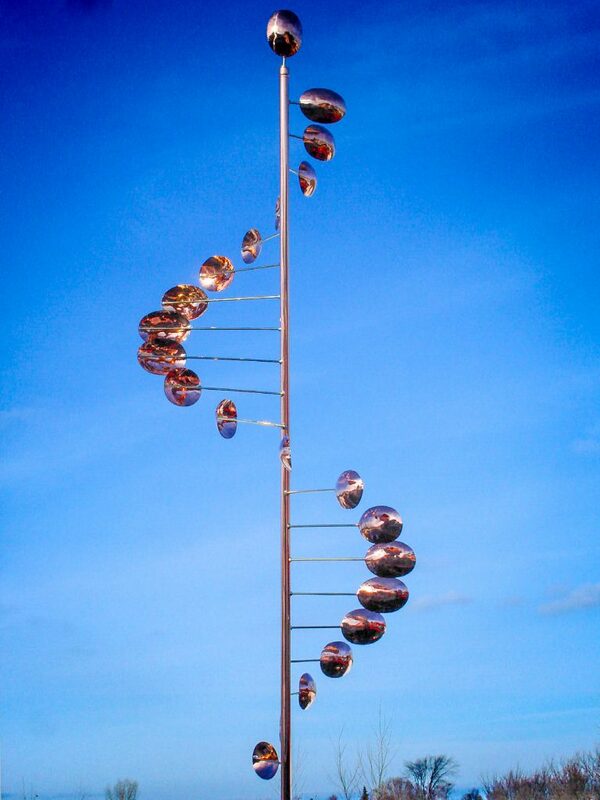 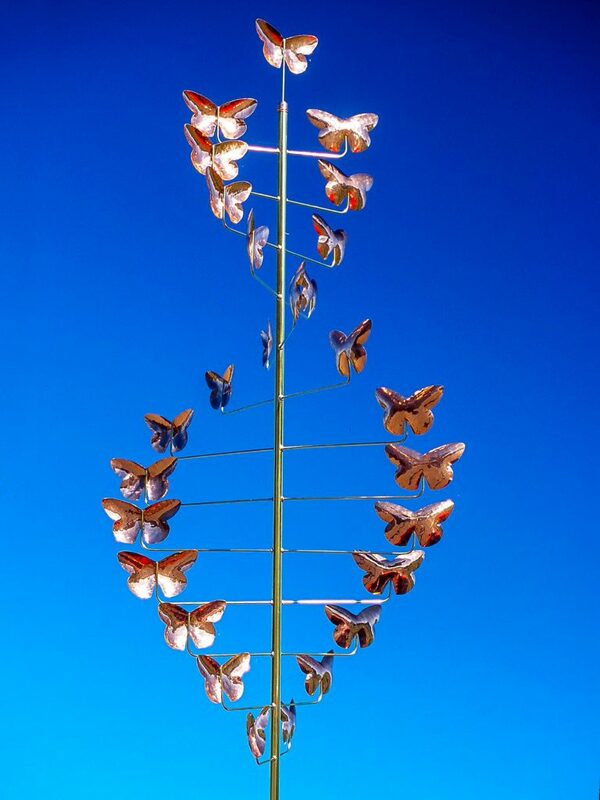 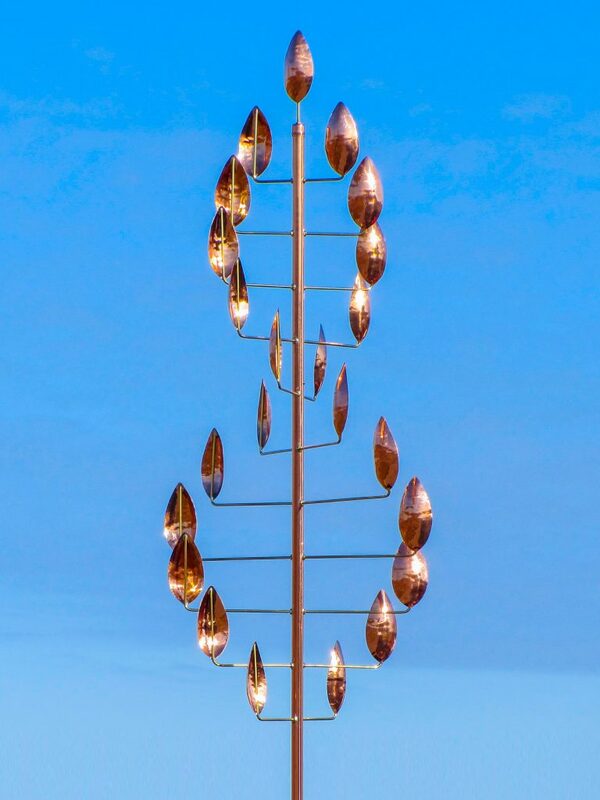 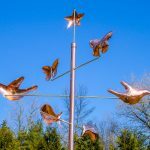 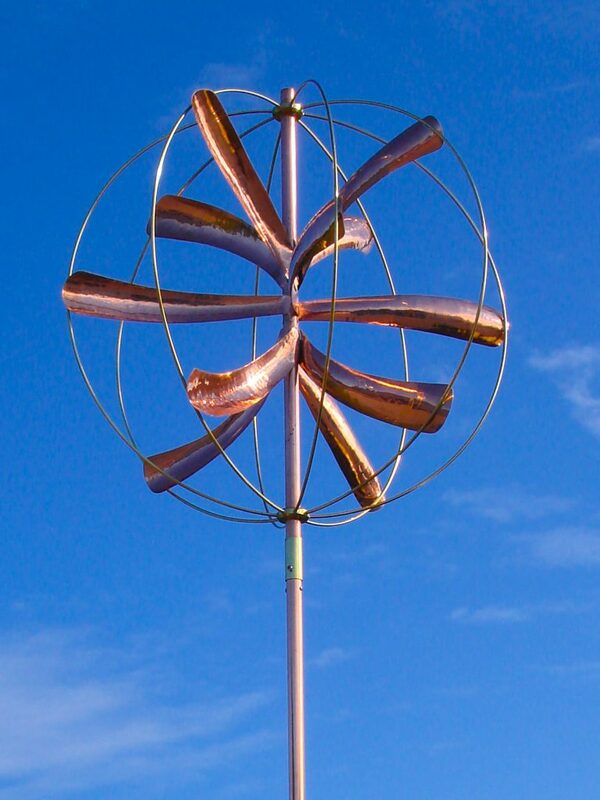 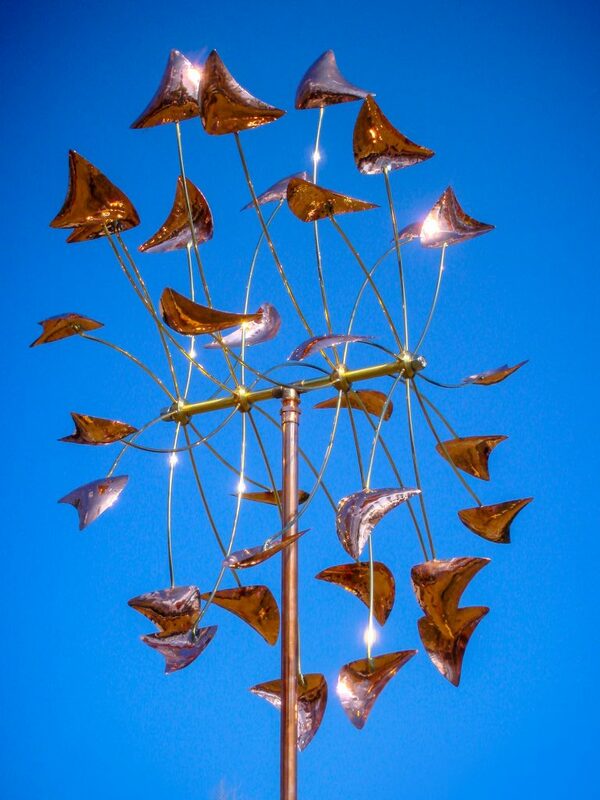 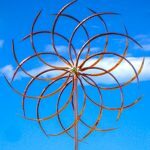 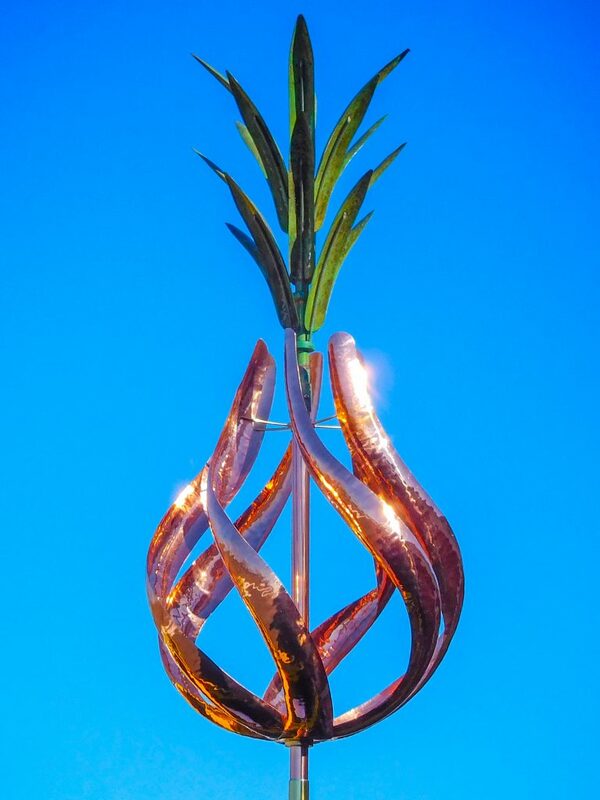 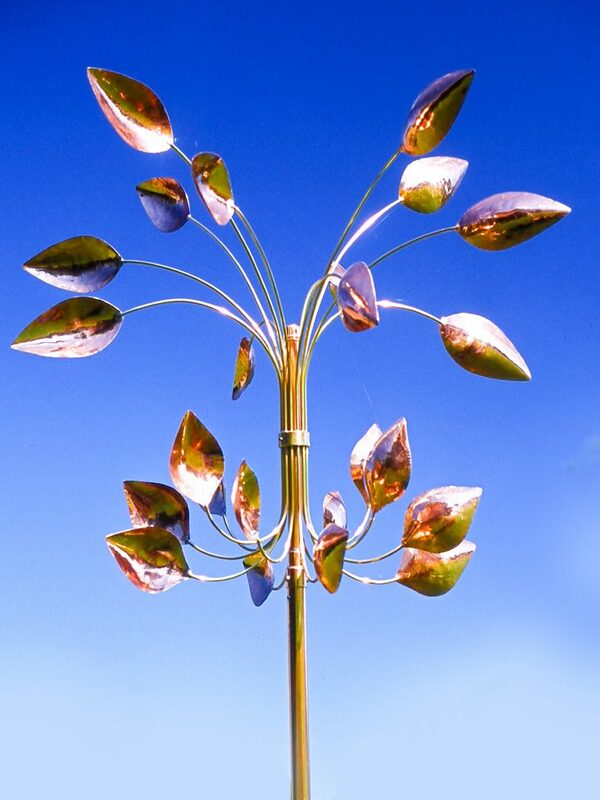 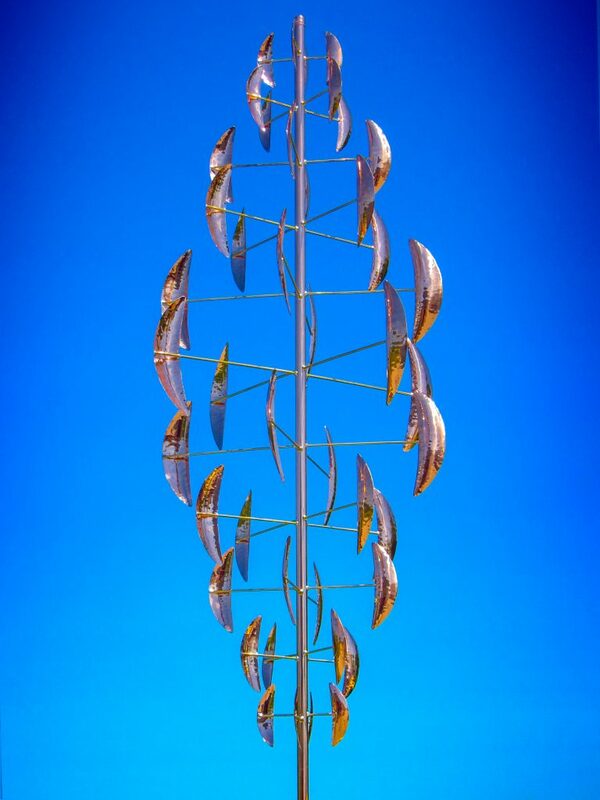 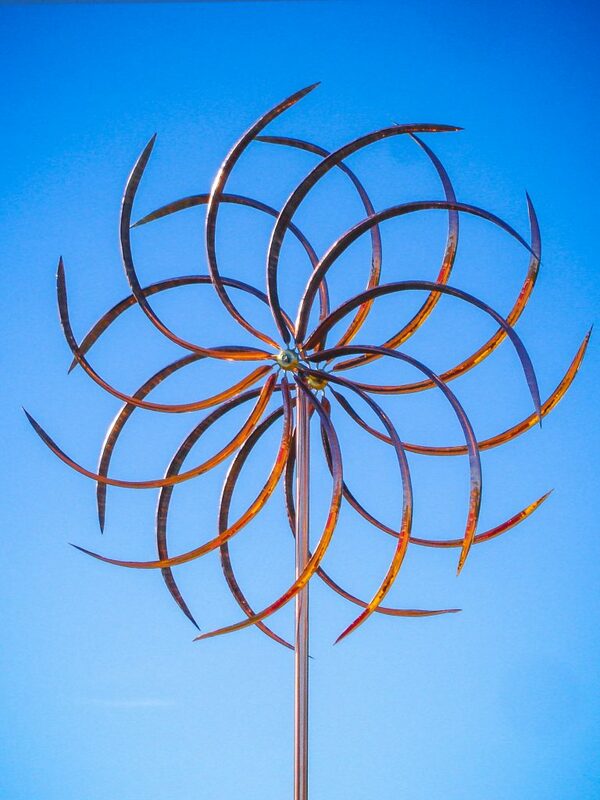 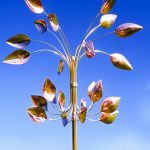 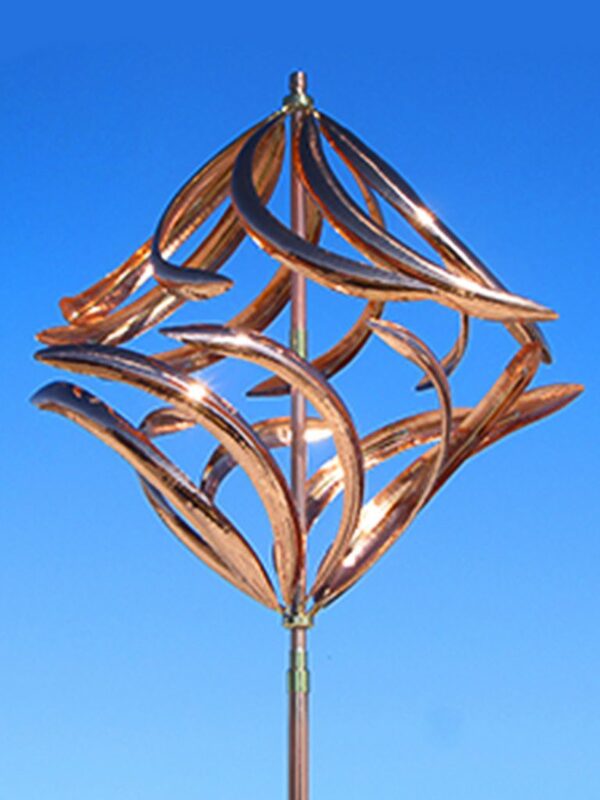 Custom heights are available on all kinetic wind sculptures and garden art sculpture models. 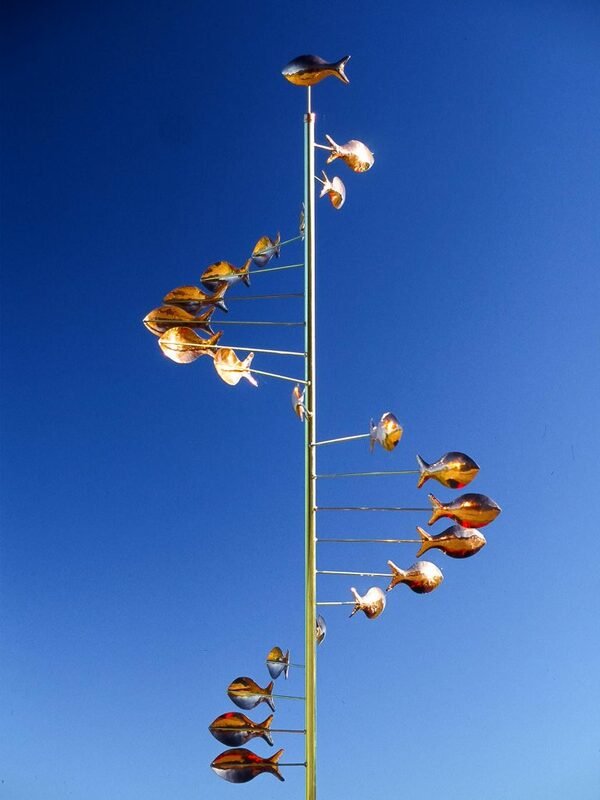 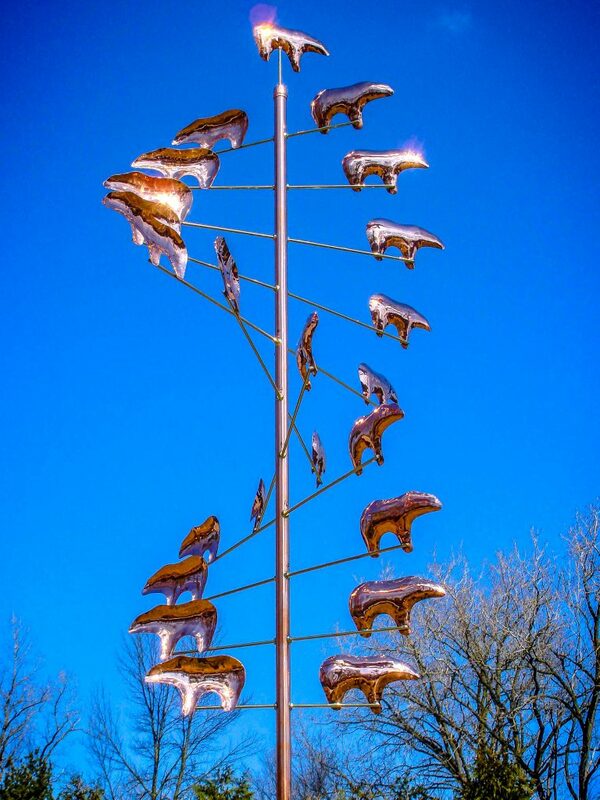 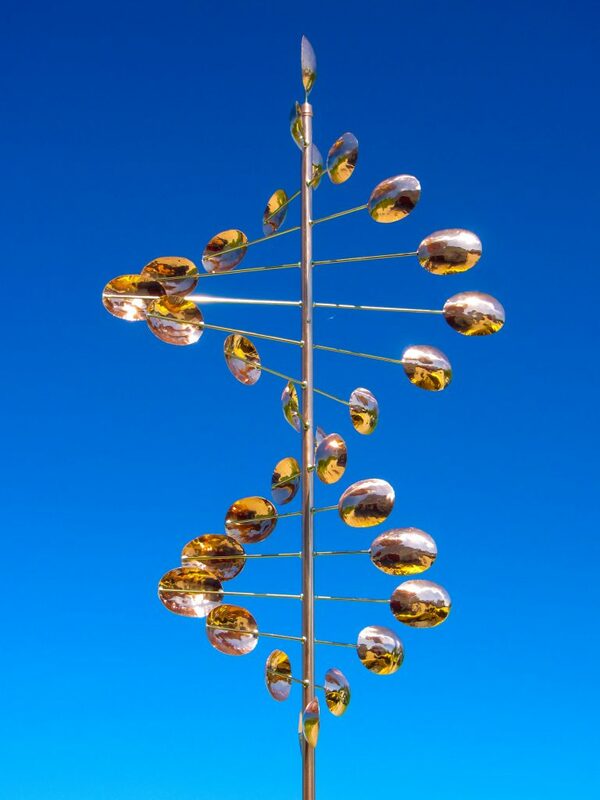 We have also provided videos of certain models of wind sculptures for you to view. 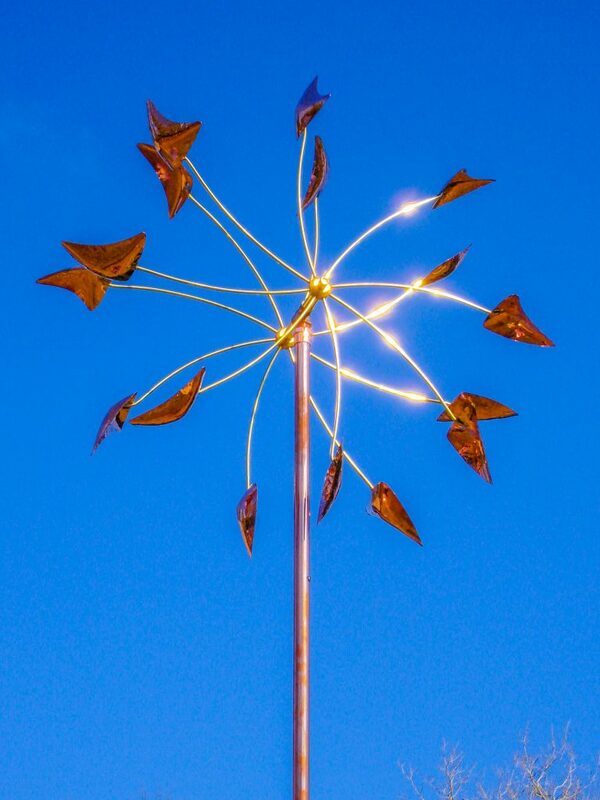 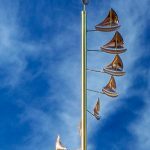 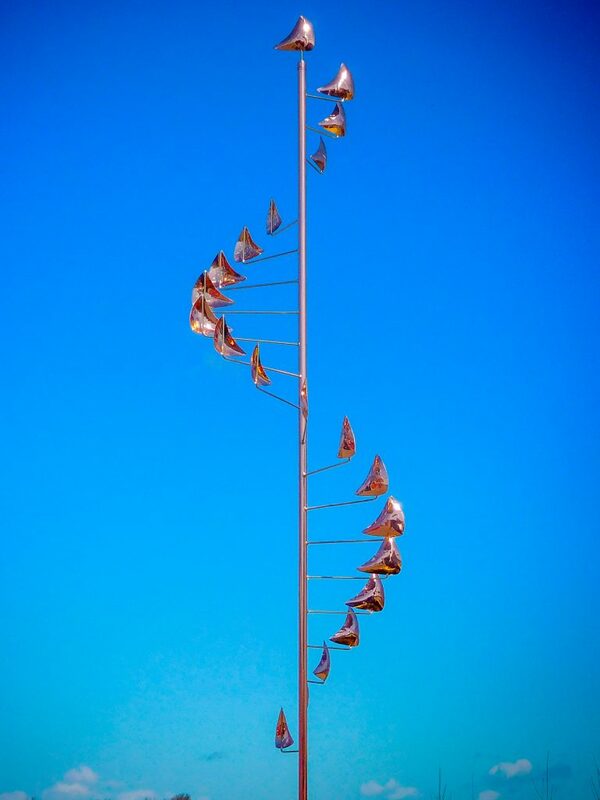 If you have any questions concerning these kinetic wind sculptures, please call Jere at 989-501-1938.